Kuberblog: ... on ampersand fun. 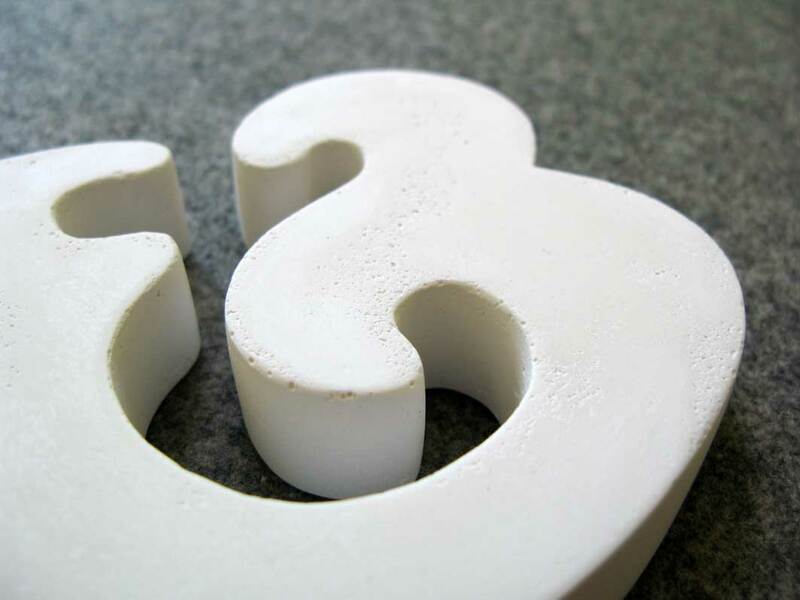 Over the past few weeks I've been having a bit of fun with a new ampersand project. 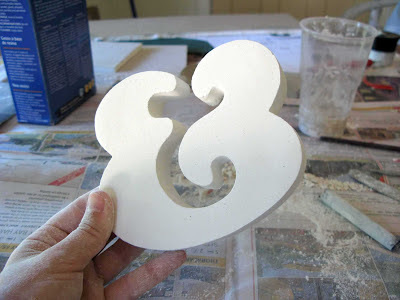 Recently, on one stupidly hot and humid Brisbane day, I exiled myself to my Ma's air conditioning and spent a whole afternoon carving a new ampersand. Here's how I carve something. I trace a template onto an ordinary piece of plasterboard sheeting, the sort that you use to line the walls of your home. I get busy with a scalpel and hey presto! A big mess! 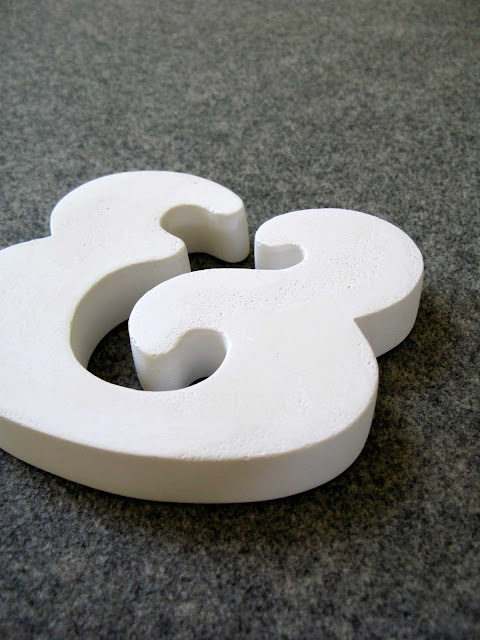 I wanted this ampersand to be able to stand up by itself, so I carved two and glued them together, and then plastered over the join. I really like the swirly-curliness of this ampersand. I like how you can see the definite 'E' and 'T' that make up the form of it ('et' meaning 'and' in french, and I don't know why I assume this but I do... is that why ampersands sometimes say 'et'? Other times they're more like a plus sign, or a squiggle.) and that it says 'et' in a really Austin Powers kind of way! 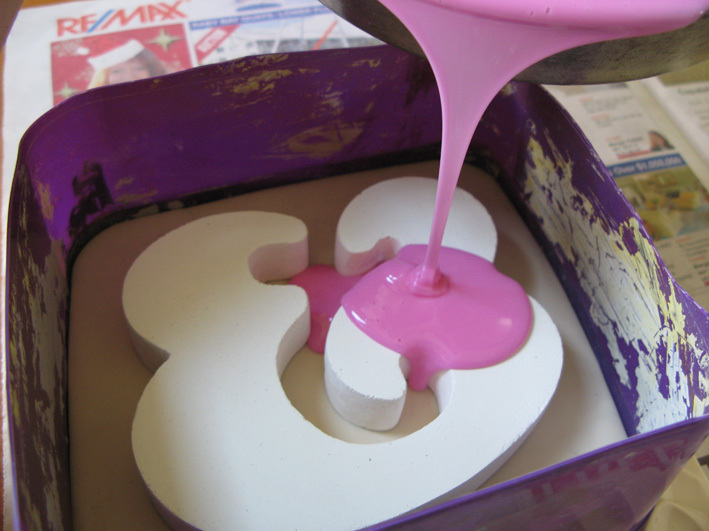 When it wasn't quite so hot, I got out the Pinkysil and made a mould. 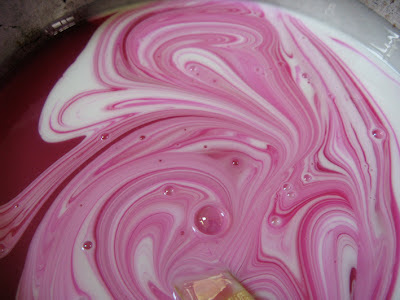 It was a bit of a close call though - it was still quite warm, and the silicone had started to go 'off' (or set) before I'd even finished mixing the two parts. Eeek! It turned out okay though. 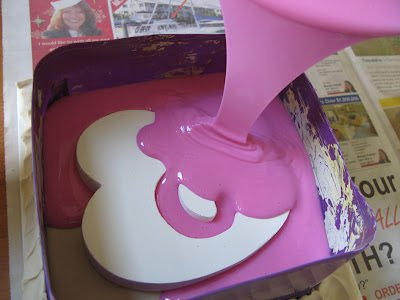 I always feel quite nervous as I watch something I've spent hours carving disappear under the Pinkysil, because I know that once the silicone has set and I try to remove the original from the mould, I'll have to break it into a thousand pieces to get it out. But - then the fun starts... will the cast result be as nice as the original? Hurrah! Yes - I don't miss the original one bit! In fact, I really like the bulk and heaviness of the cast result - the Gedeo Resin Plaster that I use is a superfine, weighty material, quite unlike the lightness of regular Plaster of Paris. I've made a couple of these now, and having had some practice at the finishing (they need quite a lot of hand sanding) I'm feeling that they're ready for my Etsy store. And guess what? They DO stand up by themselves! 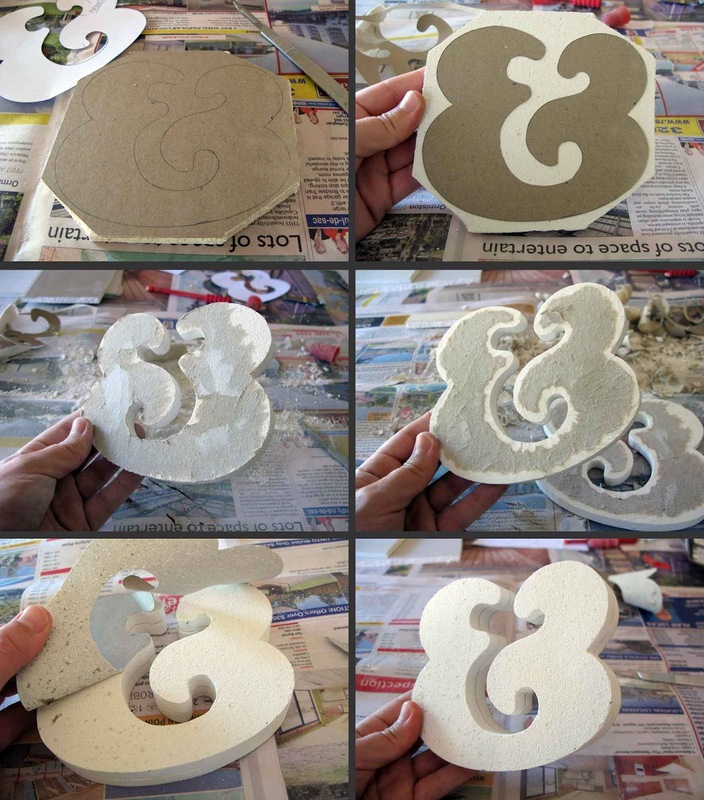 Oh my goodness, what a process, but well worth it. 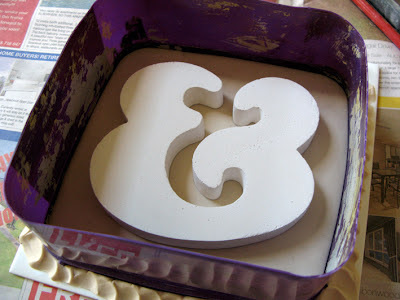 I love your new ampersand.